Obituary for SSGT Samuel Felix Hill, AIR FORCE (Ret) | Sykes Funeral Home & Crematory, Inc.
A Celebration of Life service for SSGT Samuel Felix Hill AIR FORCE (Ret), age 87 of Gleason TN, formerly of Montgomery Co. TN, will be Tuesday, February 12, 2019 at 1:00 PM at Sykes Funeral Home, with Brother Ronnie McClure officiating. Burial will follow at Gum Springs Baptist Church Cemetery with full military honors. The family will receive friends on Tuesday, February 12, 2019 from 11:00 AM to 1:00 PM at the funeral home. Samuel passed away on Friday, February 8, 2019 at his home. Samuel retired from the United States Air Force after 20 years of service. After retirement he began a new career as a truck driver for 30 years. He was a member of Union Grove Baptist Church in McKenzie, TN. He is preceded in death by his parents Leonard and Nancy Dawson Hill and son Leonard Hill. 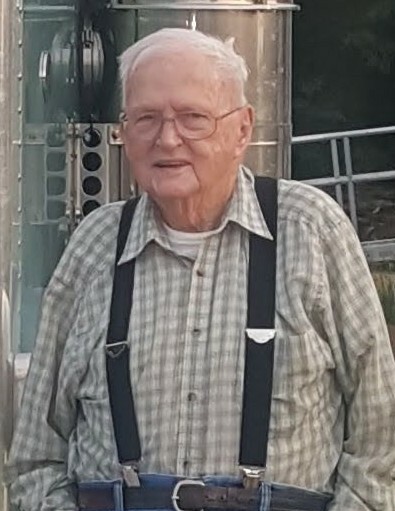 He is survived by his loving wife of 69 years, Ida Hill, sons; Samuel Hill Jr. and James Hill, daughters; Nancy Taylor, Susan Franks, and Katherine Nix, brothers; Vernon Hill and Charlie Stillwell, 13 grandchildren, and 13 great-grandchildren. Please visit Samuel's guestbook at www.sykesfuneralhome.com and share a memory with the family.